In the beginning, great grandfather Marcel Bert crafted suitcases and travel kits and other fine leatherwork. 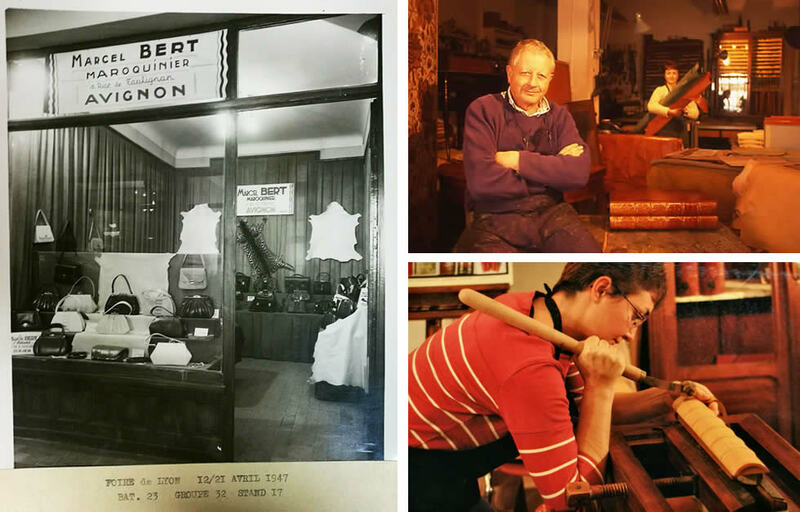 Next, my grandfather, Albert Gallon, took over, adding to these specialties the making of desk accessories leather casings and covers. My father, Jean Gallon, faced with competition, decided to turn more particularly to leather casings, leather gilding, patinas, the restoration of old leather and the reproduction of old object (boxes, chests, artists’ portfolios…). 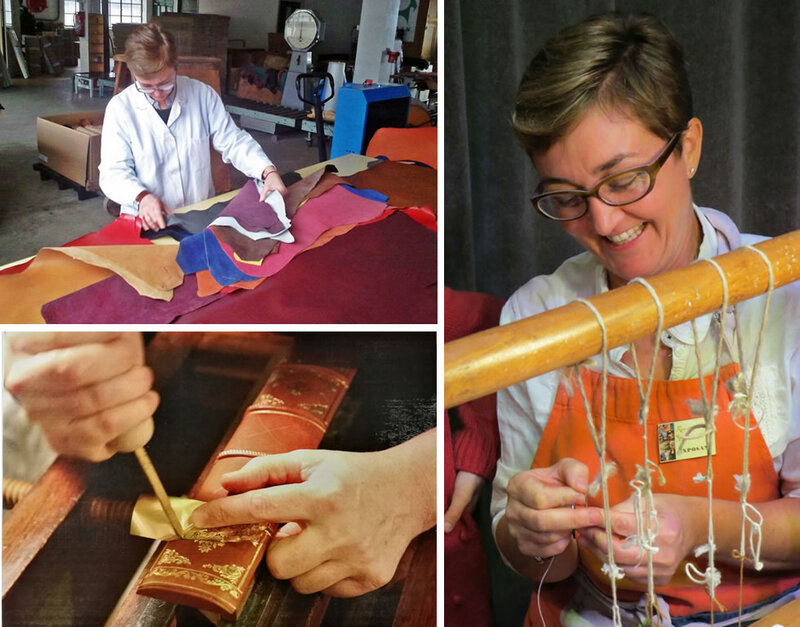 As to myself, Virginie Gallon, after getting my degree in Geography and a Masters in Town and Country Planning, I decided to return to the family workshop, where they have been fashioning leather for a century, to instruct myself in this craft in whose company I have always been. During my training, I inherited the family know-how while at the same time I learned bookbinding in two different workshops as part of qualifying for my CAP (City and Guilds examination). At the end of my training, I decided to take the competitive examination of the SEMA (Société d’Encouragement aux Métiers d’Art)… I received 1st place in the department and region, and ranked 6th nationally.